DORCE Prefabricated Building & Construction Industry Trade provides engineering, procurement and construction (EPC) services for clients operating in sectors such as the offshore and oil and gas industries. 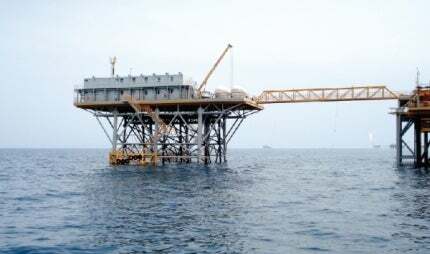 The company is a leader in its field, and can work effectively in adverse offshore conditions. DORCE provides EPCs solutions in its manufacturing of steel prefabricated buildings. The company also provides infrastructure works in applications that include residential units, schools, hotels and leisure facilities, industrial and factory buildings, medical units, aircraft hangars, and sports halls. DOLCE provides turnkey solutions for temporary accommodation and buildings in a wide range of sizes, from residential cities for workers and emergency accommodation, to offshore housing and washroom facilities. The company can provide industrial buildings such as factories, workshops, warehouses, garages and aircraft hangars. DORCE was founded in 1989 and employs 2,675 people. It was ranked 212th on the 2013 ENR Top International Contractors List. Emergency accommodation units resolved the sheltering problem after the Van earthquake which killed so many people and caused huge damages. Dorce Prefabricated Building and Construction Industry, Trade Inc, attended Iraq Oil and Gas EPC Projects Conference 2012, held in Istanbul between 16 and 17 April, as a sponsor, in order to demonstrate its involvement in Iraq's development in construction, and especially on EPC projects. Dorce Prefabricated Building and Construction Industry Trade Inc has began construction of five new projects in Mauritania and Iraq after successfully completed numerous international projects to date.